Heavy storms continually recurred throughout Iraq during the period from 24-March to 2-April when severe weather finally eased, damaging buildings, homes, businesses and leaving thousands of people homeless. Similarly, tons of rain have flooded desertic Saudi Arabia over the two last weeks. 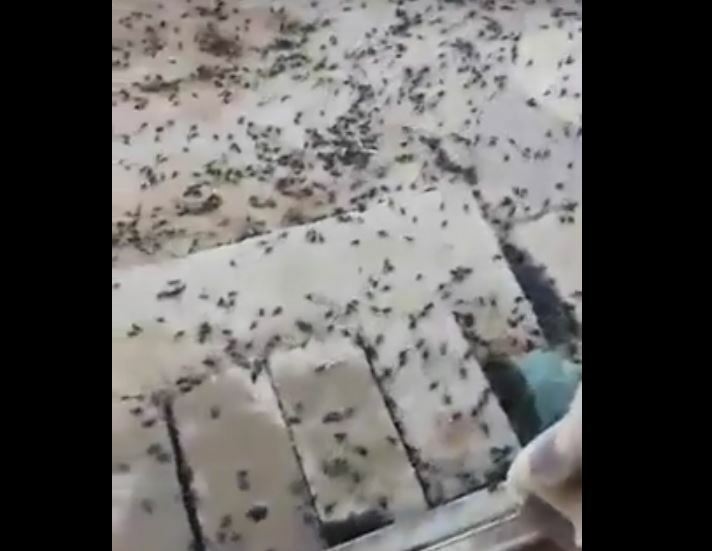 While several villages and cities have been almost completely evacuated, some disgusting black beetles are infesting flooded regions, mostly in Anbar province, Iraq and Arar, Saudi Arabia. 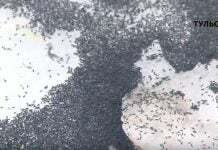 Black beetles invasion following floods in Saudi Arabia and Iraq. 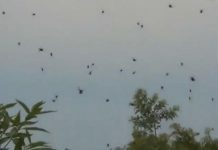 The insect plague was triggered by heavy rains. This is apocalyptic! 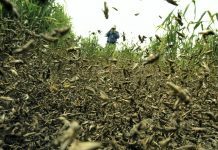 After natural disasters follow insect plagues. This is biblical!